In 2015, I ran 6 virtual races. I already recapped the Jeff Galloway Virtual Races: 5k and Half which I loved that I quickly signed up for another set of 3: the Nerdy Hallows with one race centered around Dr Who, one on Harry Potter and one on Star Wars. Even though the medals are adorable, I was not a huge fan of this set of virtual races. It was just on the honor system so even though I did the races, I did not have to submit them and did not get my medals until the end of the year.For the Galloway one, I got a great shirt for both of the races and also had to submit a time. I don't plan on doing these type of races based on the honor system anytime soon. I can understand how they can motivate some people who are starting out and also for people that live in a area with a lack of races, but in Southern California, we are blessed with races anywhere and everywhere! Over the summer, one of my favorite podcasts had the chance to Castaway Cay Double Dip 5k where we had to run 2 5ks and would receive a great medal. Most of the proceeds went to Give Kids the World, a great non-profit that gives children with life-threatening illnesses and their family a chance for a cost-free week vacation in Central Florida. As someone that frequents Orlando (5 times just in 2015! ), this cause is near and dear to my heart. Run a magical four miles in a race fit for a princess in our latest virtual race. Just run or walk the 4 miles on the course of your choice January 21-January 24. ​Please be sure to share your race photos and recap on our Facebook page at facebook.com/GoneForaRUN. Want to also participate in this race? You can sign up here. When you sign up, you will receive fun pink gloves, pink socks, a race bib and a finisher medal for 30 bucks! How do others feel about Virtual Runs? This is my last day in Texas so I will making this brief! Erika from MCM Mama Runs, Marcia from Marcia's Healthy Slice and Patty from No-Guilt Life.This week's topic is Race Medals. As we know, I had a crazy year running 30 races which resulted in lots of medals. See above-there are many and are all in order! Favorite medal: Dopey-hands down. Sometimes I am still in shock that I did that! All of this makes sense to me, Dopey Rebel alone was 67.9 miles which is 78% of January mileage and I basically took the week off after that. June I spent most of it traveling and did not run at all during our WDW trip. August was a bit shorter mainly because of the drama of moving, finishing up the semester, working picking up and starting the semester again. September was a long break when I went to Tampa and Orlando for work after Dumbo. November was mostly races with 8 races which was 60% of my runs. Check out the Race Recaps below to get all of the details of my races! My future races? Will semi-big news! I signed up for the Glass Slipper Challenge during Princess Half Marathon weekend! I found a bib for a good price and already booked my flight to Orlando! I am going to wait to see if I can get a cheap flight coming back. It will be a quick trip (red eye on Thursday-flight Monday night or early Tuesday morning) and I may have to have a dissertation meeting the Sunday after the race that I will do over skype. I am excited for costumes and still hammering some things down! 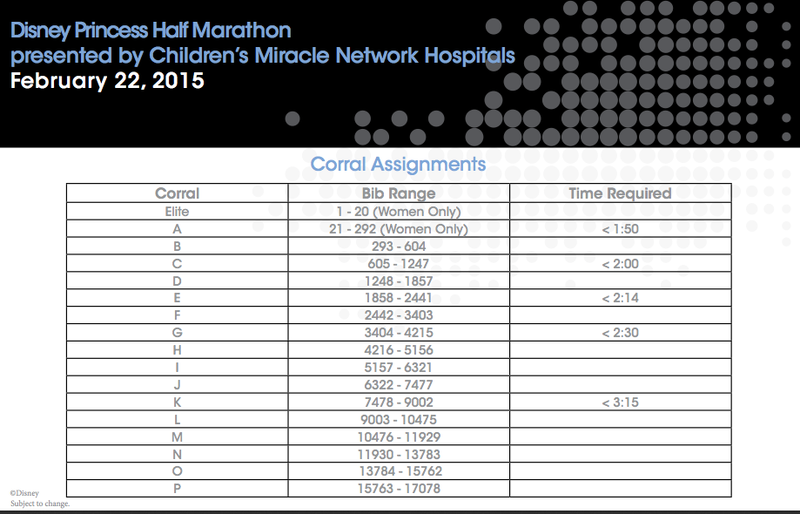 Based on the corrals from last year, I should be in corral D so I will be crossing my fingers! how was your 2015? any plans yet for 2016? It is Monday so we are linking up with another Magical Mickey with John at run.geek.rundisney and Katie from Adventures by Katie. Finally time to get my Avengers Half recap-my final race of the year! After running the Inaugural Captain America 10k the day before, we were up around 345/4. I got about 7.5 hours of sleep and felt great! We got dressed and headed out the door around 430. We went through the same security, did bag check, and headed to pee and headed to the corrals. We stayed to the back of the corral and we all really enjoyed it. We did slow intervals and basically had the road open to ourselves which was awesome since we head backstage quickly. This course was slightly modified from last year so much like the DL half course, we started and then headed backstage within 3 minutes and into California adventure. We stopped for Black Widow right after exiting Carsland. There is really something to running through Carsland when it's dark it is all lit up. As we waited in line, we saw the front of corral B come through. We headed through the esplanade and into Disneyland! We had our first water stop and continued down Main Street for an adorable pic in front of the castle. This is one of the only courses that does not run through the castle which is a bummer. At the time we didn't know that it was our last character stop but the idea that a half marathon has only 4 photo stops, the exact same as the day before is just silly. In line, I saw Greg from WhyIRunDisney! I headed back and chatted with him for a bit. We then met Thor who told us that Hawkeye talks about Lucky all the time and the crazy adventures he gets into. Like I have said-the character interactions were TOP NOTCH! We headed by Matterhorn through tomorrowland and backstage. We then headed back to Main Street and we stopped for a tree pic, got some biofreeze and stopped for a potty break on main st and headed out of the park. We passed the mile 2 marker around this time and it was at 50:00. LOL we had a 30 min mile with the 3 photo stops and potty break. Our goal was to see how close to 3 hours we could get. This is where things got interesting as that is A LOT of out of the parktime. Once we headed out of the park down Harbor everything opened up which was nice. We stuck to our intervals and felt good. We turned off harbor and all I could remember was how windy the course was last year. We headed to the Santa Ana trail and that's where things got crazy. There was this weird roundabout to get on the trail and then it was SO narrow for about two miles with up and down hills. I saw people fall hard because they were trying to get around. Now we know from stopping for all of the pics, we ended up with people that run a slower pace than us but that wasn't the issue. The issue was it was only 2-3 people across which is way too narrow. In the middle of the crazy few miles, were the cosplayers who were awesome as always! They always lift spirits! We finally cleared up by the stadium where we got our Clif shot and headed into the stadium. The field was filled with bands and it was great. We headed out of the stadium and back towards the DL resort. Outside of the stadium we're really military people cheering US on which is just incredible. On the other side was the world war reenacters both military and medical. There was even a swing dancing floor set up which was incredible to see. After we left the stadium was where we were in new territory. We were going over the overpass and headed into a new area and through the cast member and toy story lot. I wonder if they are tested out new parts to make up for all of the backstage running we won't be able to do starting in January. One other thing that sucked was they didn't have biofreeze and my knee was randomly acting up(I mean, let's be real: 1 5k, 1 10k, 1 6.7ish,almost a half and a full marathon, plus 10 theme park days for approximately 52.1 racing miles + countless others. Is it a surprise my knee was a bit weird? NO haha). I found a medical guy on a bike that helped! With this new route, we took a Porto stop in the Pongo parking lot (next to toy story lot off of Harbor) and headed back to the resort. We went down Harbor Blvd and headed through the bus depot (people were very confused heading into the park to see all of these people running) and backstage of DCA. Brian was starting to struggle a bit so we kept our intervals with some extra encouragement. We headed backstage and towards the Simba parking lot-almost done! Through the pathway and DONE! Finished in 3:10:17 (14:31 min/mile). Overall, I had a fabulous race weekend-the weather was nice, I had a great time with my friends and the character interactions were awesome. More character stops are needed on the course though-even though the theme is Avengers, it is okay to have other people out and other characters do have superhero outfits that would technically fit. I am not sure how long this race will stay around, but for now, I will enjoy the Infinity Gauntlet. What was everyone else's thought on the Infinity Gauntlet challenge? Anyone have an interest in running an Avengers themed race? Once the theme was announced to be captain America, I knew I wanted to be in theme without being captain as I did that last year. I settled on Peggy Carter! This costume turned out great and was also super easy. HAT-I knew this was the most important feature and I found a red fedora that glowed for 4 bucks on Amazon-score!I added blue ribbon and white ribbon to it. SHIRT-I bought a new blue shirt from Target in the men's section (on sale so it was 8 bucks!). I was originally going to cut it but I didn't want to worry about chaffing. Instead I bought a square of white felt and cut it to look like the collar of a shirt and just glued it on to the blue shirt. We knew we wanted to be Inside Out as a group because the female characters are us to a T (if you ever wonder who I act like IRL, it's Joy!). This costume was very easy to put together and in happy how it came out. SHIRT-I used a lime green sleeveless shirt I had but any lime green shirt would do. I just used paint to represent the starbursts on her dress in blue paint and then also outlined it in glow in the dark paint. I did one side, let it dry over night and then did the other side. And that was it! I added in lime green ProCompression socks to complete the look. The costume was pretty easy to put together and you could definitely glue everything but I decided to pin it so I could reuse the shirt. I then glued the white ribbon to the black ribbon and let it dry for 24 hours. After drying, I pinned everything to the shirt. Make sure to pin it high as there is a part of the shirt that is just red at the bottom. If it is cold, feel free to add a red shirt underneath. Red foam to make the tall part. Yellow ribbon either glued or sewed on to the red. You need 2 ribbons. That was basically it! My grandma made the hat and did a great job and I worked on the shirt. It was pretty easy to put together. I told everyone I wasn't dressing up because I was trying to PR. Well I forgot outside of the rundisney realm, what I wore was basically a costume haha. My shirt is from FILA. my grandma found it at kohls on clearance. She took it to the shop where she gets my little siblings personalized birthday shirts and it turned out awesome. Time for some weekly accountability! I will recapping how I have done on the 4 Well Rules over the last week: Eat Well, Sleep Well, Exercise Well and Be Well New Linkup for Monday! I will linking up with MissSippiPiddlin and HoHo Runs to talk about my week recap! Welcome to the 4 well rules that I try to follow as I go through my week! Let's get to it ! Yeah I ate fine. I made the best choices I could make but also indulged as it was the holidays. I need to make sure I am drinking enough water and also eating veggies. I have avoided gluten pretty well and feel pretty good from it (even though I am SO BLOATED!). Starting Thursday I need to carb load-yay! I plan on eating a lot of fruit and rice and see how I do with my race. I have been in a funk since getting to Texas. I am so tired in the morning and then wide awake at night. Staying with my mom and my little siblings because I would stay up late with my sister until 11/12 or so and then my little sister would get me up before 7! eek! I am going to try and catch up on my sleep since I am with my dad now and also when I return to LA. I only have one more week off of work and want to make sure to get the most out of it now! I SUCKED! I have run 2 times, played Wii for many hours and walked a lot but have not gotten in another workout. I have a race on Sunday so my goal is to get in 2 runs before then (including some speedwork that was supposed to happen this weekend but with the crazy weather in texas, i could not get outside to get the runs done!) and also some yoga. I may do one small weight workout but I want to be ready before my New Years race on Sunday-10k at 6PM and a Half at 8PM! Being with family has been THE BEST! I am so happy to get to spend time with each other. i can't go this long without going home again. and I still have a few more days with more stuff to do! How about you? How have the Holidays been for you? Did you have a good Christmas? Erika from MCM Mama Runs, Marcia from Marcia's Healthy Slice and Patty from No-Guilt Life.This week's topic is Running Year in Review! I am also linking up with Courtney and her End of the Year Running Survey! You can see all of the recaps here as they were all a variety of races and I learned a lot. Best race experience: WDW Marathon. It is my favorite race I've ever done and signifies the end of the Dopey challenge. It was amazing from start to finish. Best run: I've had parts of good races but my best run while training was my 20 miler a few weeks ago. I felt strong and never hit any wall-it was awesome! For races, my best was Tink half. I had SO much fun and the weather was nice and I felt strong the whole time. Best running advice you've received this year: compression socks during races. I was always worried I would get too hot but the recovery process is so much easier! I own so many ProCompression socks now and love them all! Most inspirational runner: Kathryn at dancing to running. She is pregnant and still working out. She completed a half marathon 30 weeks pregnant! Such an inspiration :) and she gave birth to a beautiful baby boy earlier this week and already has her post-baby race picked out! Fav pic from a race this year: I love the one Jen took of me during the NYCM(see below!). I've never had people come and spectate a race on the course for me so it was so nice two of best friends were able to do that! Race experience to repeat in a heartbeat: it's a tie!! As the WDW marathon was my favorite race, I would love to do it again! And will in 2017 and 2018. However the race I would want to do again that I'm not sure I will get a chance to do again-the NYC Marathon. What a special race! Sum up the year in a short phrase: insane! Who runs 30 races in a year! I am still in shock I made it through with no injuries and also am still getting faster! This year will definitely go down as the year I really challenged myself both physically and mentally. I learned a lot about myself and how to prepare for races. How about you? How was your running year ? I did well until I got to Vegas. I ate a lot of junk, drank a ton of champagne and definitely should have eaten more. I was with a birthday party and both restaurants they picked were carb based (pasta and pizza) with no gluten free menu. I definitely ate good food but since I was drinking, I needed more carbs. oops! This week I am heading home to texas and going to try my hardest to eat well. I usually eat a lot of gluten when I go home and then I feel like crap for days-not this time! I slept well: averaging about 7.5 hours a night including in vegas. the first night we went home at 11:30 (i was falling asleep at the bar-that drive was NO JOKE!) and then the second night my boyfriend look at me at midnight and said-im tired, let's go home. HAHA PARTY ANIMALS. but it was nice to get some full nights sleep in Vegas. last week i sucked and basically had 2 run days and an ab day. i walked a lot around vegas but was very busy prepping for traveling i could not get my workouts in. IN texas my goal is to get 3 runs a week, a day of yoga, an ab day, and a piyo day. I am hoping to get my workouts short so I can spend time with the family. Will Force Awakens came out and i loved it! I cant wait for episode 8 which is about 500 something days away! I also spent the weekend in vegas and even though I am still feeling the effects (I ate so much junk! ugh) I am glad I got to go. Reflecting back, even though I had a great time, I think I am slowly phasing out of Vegas! eek! My partying late into the night days seem to be coming to an end and I am totally okay with that. I FLY HOME TO TEXAS TODAY! YAY! I am leaving for the airport in 30 minutes so I need to go finish getting ready! Merry early christmas everyone! !